Teen Vogue writer Lauren Duca is getting revenge on Tucker Carlson by selling shirts and donating the proceeds to Planned Parenthood... in Carlson's name. The Fox News personality first started feuding with Duca last year during an on-camera exchange in which he told her to "stick to the thigh-high boots." The comment motivated Duca to start a column for the magazine titled, "Thigh High Politics," and she now sells shirts that read, "I like my politics thigh-high." Each shirt costs $32 and 100 percent of the proceeds go to Planned Parenthood in Carlson's name. Duca has already raised $10,000, according to Teen Vogue. "A woman can love Ariana Grande and her thigh-high boots and still discuss politics. Those things are not mutually exclusive," the shirt's website says. Carlson reignited his brawl with Duca in May, with the Fox News host blasting her as a "not very impressive 26-year-old blogger." Back in 2016, Duca called Carlson a "partisan hack," while the Fox News host endlessly mocked her credibility. At one point, Carlson offered a non-apology for the months-old incident, saying Duca "delivered a performance so mindless and nasty that I lost control and snapped at her. I shouldn't have done it, but I did." 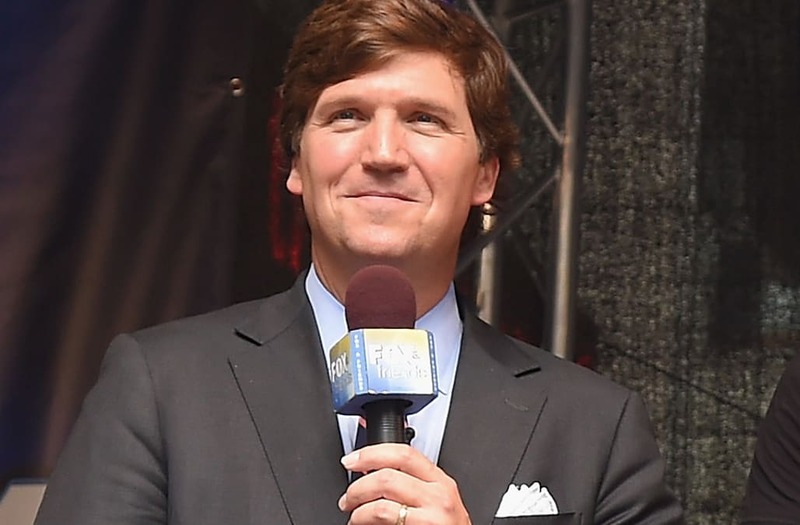 Carlson claimed the moment on his Fox News program, "Tucker Carlson Tonight," made Duca a "progressive hero," and brought her up again in May because she had again made news. "Now, we're happy to make people famous, even not-very impressive 26-year old bloggers like Lauren Duca," Carlson said. "It turns out that when she's not barking on cable television or writing vapid pieces for teen magazines, Duca has yet another hobby... fantasizing about the deaths of her political enemies," Carlson said before referencing a picture she tweeted of President Trump's plane crashing. "Duca later bravely deleted the tweet, but fortunately, the Internet never forgets," Carlson said. "The left has gone insane." Duca responded via Twitter, writing, "Lol" with a screen grab of the extra attention Carlson was providing in real time. She also called him a "sad, little man" in a follow-up tweet. It will be interesting to see if Carlson acknowledges the shirts on his show.